Social media now holds a place alongside print and broadcast as a major, essential marketing channel for businesses. As such, social media now should be held to the same standard as those channels: your social media ROI needs to contribute to your bottom line. To prove that your social media investment is truly warranted, you need to track how social is influencing every interaction you have with your clients. The first step involves setting social media goals that complement existing business and departmental goals. If you have set a specific number of leads you’re trying to attain this quarter, set the number of leads you want to specifically be driven by social media. If one of your goals is to increase landing page conversion by 10%, ensure that you’re tracking the conversion rate of people who land on the page through social channels. Audit your existing social media performance to establish baseline targets, then set appropriate goals for improvement. The brand awareness created by social media—seen in vanity metrics including “likes” and “+1s” and “Retweets”—is valuable, but it is not enough. According to Altimeter, only 34% of businesses feel that their social strategy is connected to business outcomes. To demonstrate social media’s value, you need to measure social media ROI as it relates to your broader business goals. It’s important for social data to be relevant to stakeholders within your organization, not just social media practitioners. Tying social media to the big picture by linking it to organizational and departmental goals will help you achieve that. 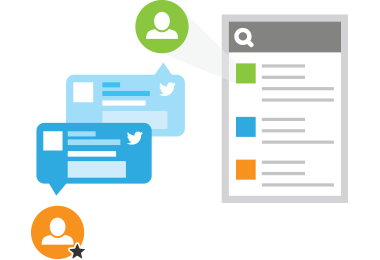 Salesforce: Add Salesforce tracking codes to the links you share on social networks. When paired with marketing automation software like Marketo, you’ll be able to track sales leads back to specific campaigns or social messages. Once you’ve set your goals and chosen your social media analytics tools, it’s time to actually track your social media ROI. The ability to track should be built into everything you do on social media, so you’re never left scrambling to try and prove the success of a campaign. 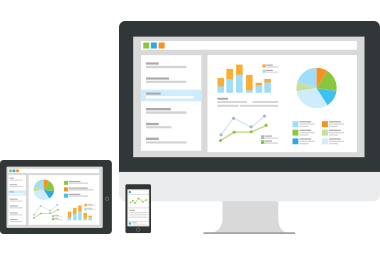 Creating analytics templates will allow you to track your desired metrics without having to build out custom reports for each campaign. These reports will also present the data in an easily digestible way, allowing you to simply and effectively share your ROI on social media with higher ups in the organization. 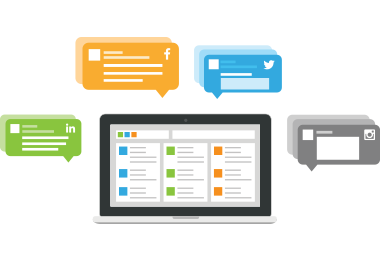 Learn more about managing multiple marketing channels like a pro. You should be checking your various social media metrics frequently, often daily, to ensure that your social media goals are being met. 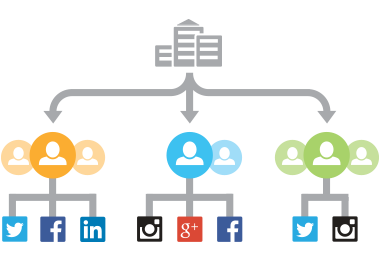 The lifecycle of social media campaigns is often very short, so you need to stay on top of the data as it happens. Choose a timeframe that works for you, and stick to it. You can often have reports sent to your email inbox on specific days of the week so you don’t have to even remember to pull reports yourself. Due to the short life cycle of social media campaigns, a failing campaign should be changed and improved as soon as possible. Social media is never static. To meet your social media ROI goals, you’ll need to constantly update and adapt your strategy taking into account the analytics data you’re tracking. Contact ThePixel to build a strong social media strategy plan and build your business in the right direction.